Kevin’s interest in film began in his parents’ independent movie theater in Northern California where he spent much of his childhood watching foreign and art films. In his twenties, Kevin traveled the world and studied several languages. He then spent his thirties as a freelance cinematographer, shooting everything from union feature films in Hollywood to small independent documentaries in Africa. The American Society of Cinematographers has recognized Kevin as a finalist for The Robert Surtees Heritage Award for Cinematography. He is also the recipient of the Ralf Bode Eastman Kodak Award for Cinematography for his body of work. Kevin holds a B.A. in Anthropology from the University of California, Santa Barbara. He later graduated with honors in cinematography from The Los Angeles Film School. Between shoots he has taught cinematography at University of Southern California, The Los Angeles Film School, and the University of California at Los Angeles. 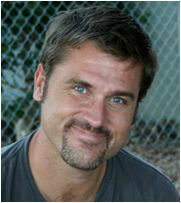 He currently lives in the Los Angeles area with his wife Susan and their two sons, Luke and Silas.